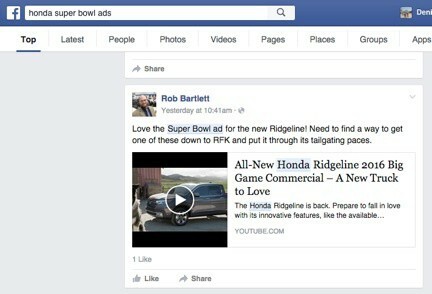 One in five Super Bowl advertisers this Sunday will be an automaker. 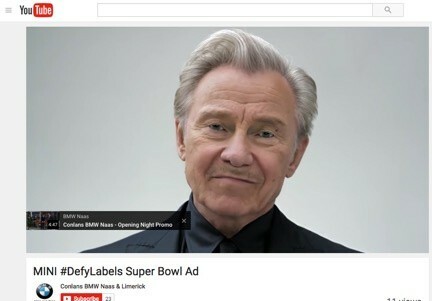 For these advertisers, the final showdown of the NFL season is always the biggest, baddest game in town, and this year a single 30-second spot on the CBS broadcast is going for upwards of $5 million. Big spending on The Big Game means we are sure to see strong automotive interest over the next week. The Super Bowl attracts a massive and diverse audience. Over 110 million Americans are expected to tune in – that’s enough people to fill Levi Stadium 1,600 times! Americans love the ads. They spend a significant amount of time before, during and after the game searching, viewing, sharing and Tweeting their opinions about the ads. They vote for their favorite, and even “Crash the Super Bowl” with their own big game inspired commercials. The Super Bowl generates significant online activity. Brands that run commercials experience a 1,800% increase in online searches, on average, and over 29 million people discussed the event on Twitter last year. Make sure you’re present on auto sites, as they will also benefit from the surge in online traffic and interest in cars the next few days. If you are a LotLinx customer, we’ve already got you covered. Further benefit from the brand “rub” by leveraging your own website to embed links and commentary about your OEM’s campaign. What, your OEM is not in the Big Game? Why not conquest the other brands and join in the conversation! Don’t forget about Analytics! Tag all your ads with UTM parameters so you can track performance in Google Analytics. For more ideas on how to set your winning Super Bowl strategy, you can download our guide here. Kermit Pitches Ford, but GM Gets Hits Online. 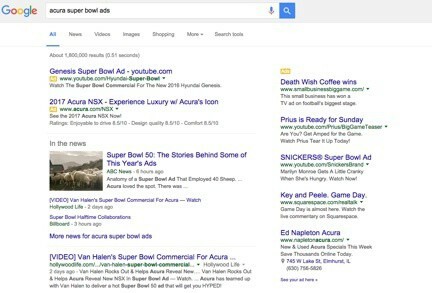 A seminal moment in online marketing occurred during the Big Game in 2006. That year, General Motors Corp. in essence hijacked Ford’s online conversation following a spot Ford ran during the game. 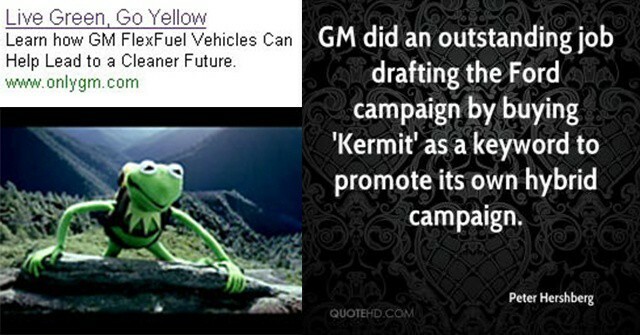 “It’s Not Easy Being Green” featured Kermit the Frog touting the features of the Ford Hybrid, but GM bought the search term “Kermit.” When people searched for it the next day, GM’s “Live Green, Go Yellow” ad came up as the first result.